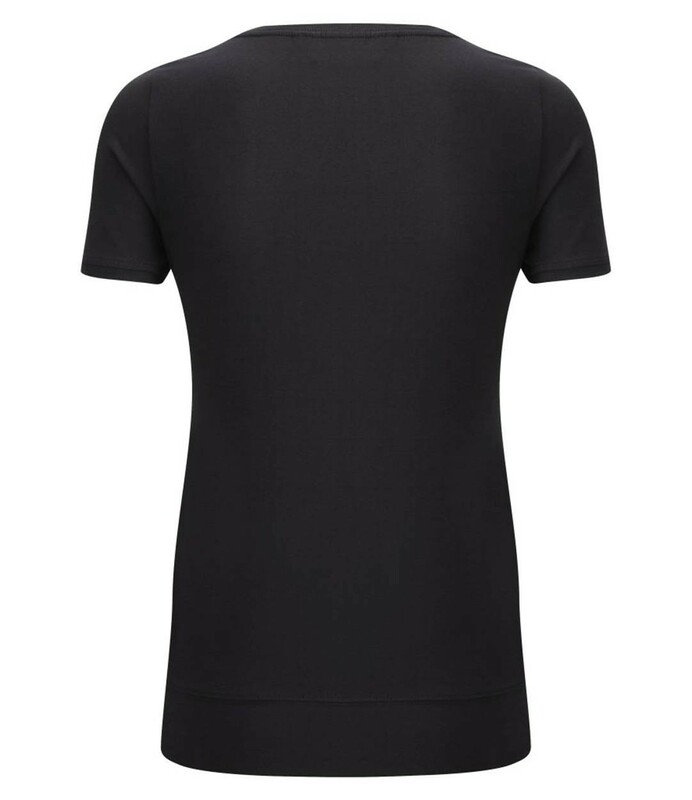 A ladies short sleeve top in a comfortable stretch fabric. 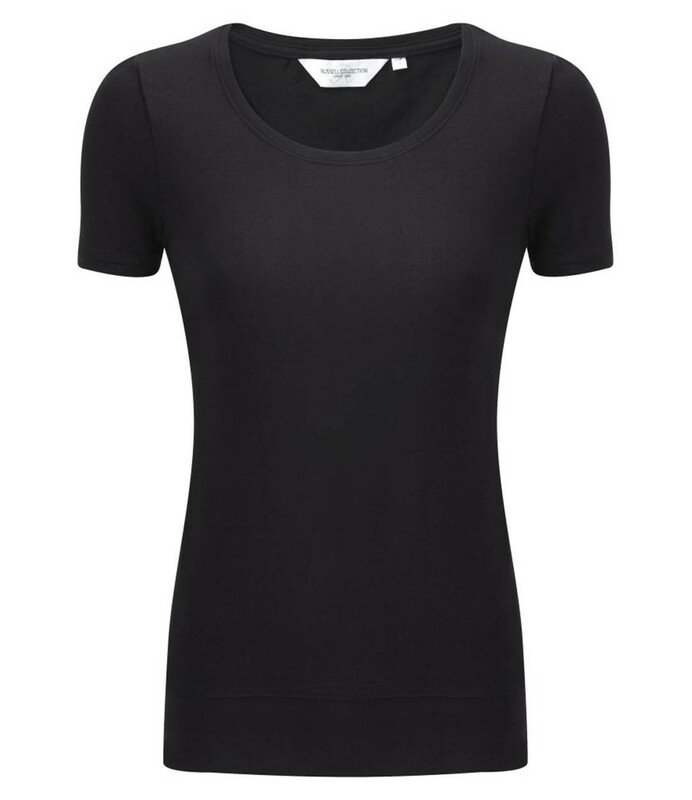 The Russell Collection 991F Ladies Short Sleeve Stretch Top in 93% combed cotton/7% elastane. Low scoop neck. Shaped side seams. Double layer hidden support. Double layer fabric on neck and waistband. The Russell Collection 991F Ladies Short Sleeve Stretch Top features fabric weight: White 215 gsm, Black 220gsm.